3026 Colorado Avenue, Orlando, FL 32826 - $215,000 — Think Rachel, Think Real Estate! Fantastic 3 bedroom 2 bathroom with a 2 car garage in the Lake Pickett area. 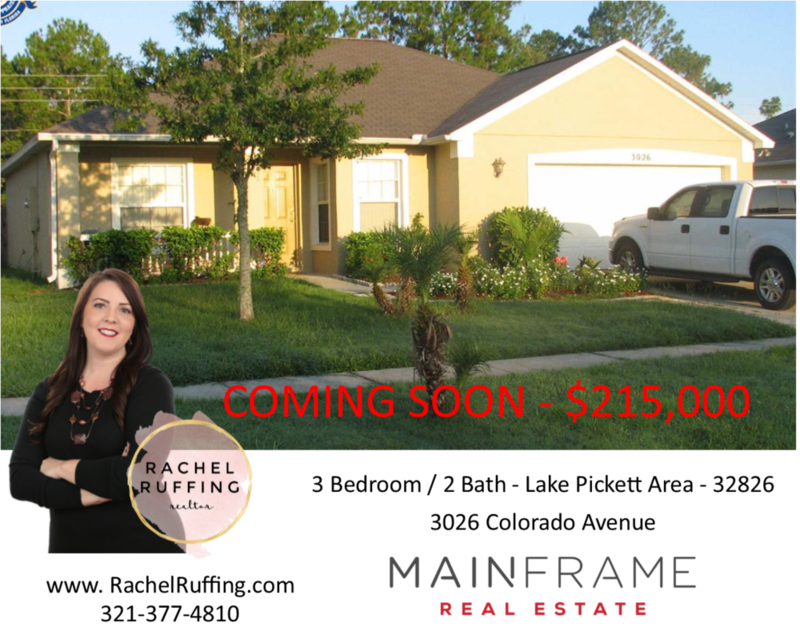 Close to UCF and priced at $215,000 this home is perfect for first time home buyer, students or investors. NO HOA. LOW TAXES. Think Rachel, Think Real Estate!